Small businesses are all around us and one thing they all need are office supplies. 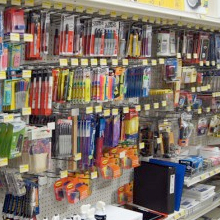 If you are the owner of an office supply store, you know how important it is for small businesses to have the supplies they need as soon as they need them. Not having a certain supply can really cause a small business to slow down or even stop all together. Most small businesses just do not have the funds to have a constant streaming supply of office fixtures coming in so they will rely on office supply stores. The problem many small business owners face, however, is they don’t have a great cash flow, especially if they are just starting out. As the owner of an office supply store, if your customers don’t have a good cash flow, you could find yourself in trouble as well. Being a business owner yourself, you will surely understand their plight and want to help them out as much as possible as well as helping yourself. One way to do this is to accept credit cards. When you accept credit cards in your store, you will be able to cater to those small business owners who desperately need the office supplies to keep their business going but who do not have a lot of free flowing cash. Actually, this is probably the typical small business owner. For someone like you who has possibly been in the same situation, you know how difficult it can be to run your business with a limited cash flow. Using credit cards may be the only option for many of your potential customers. Starting to accept credit cards is easy. You will either go to a bank or to a private payment processor. Depending on the type of account you need and want, you can begin accepting credit cards in a matter of days or even hours.